This post is in partnership with HP. All the opinions are our own. One of the most rewarding things is when you can change someone’s life for the good. Giving back to your community and helping others this holiday season is the best opportunity one can have. With this notion in mind, we partnered with HP to bring awareness of their #ReinventGiving campaign. 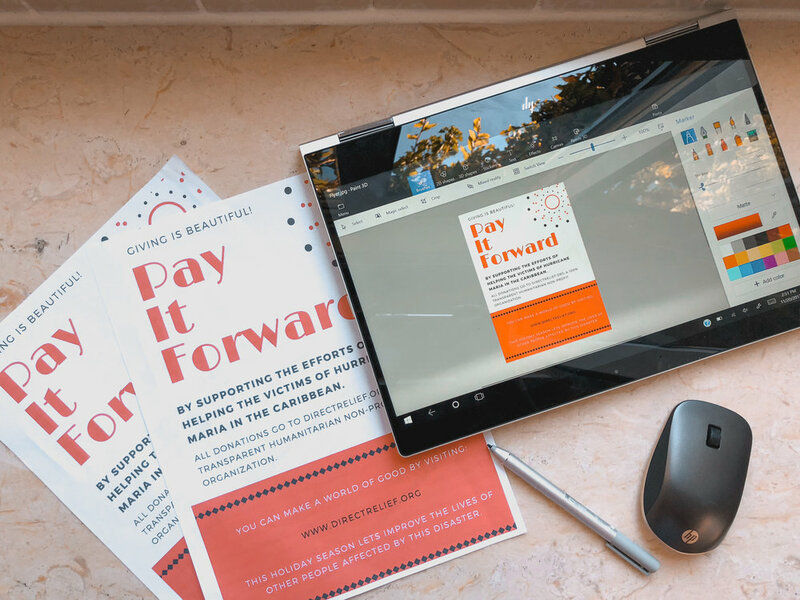 This incredible initiative helps people pay it forward by creating and utilizing meaning content that people could use to further help others in need. With the help of my friends at HP and their Spectre x360 plus active pen, I created an awesome flyer which will be distributed in my communities’ shops such as supermarkets, coffee shops, gas stations and local bulletin boards to support the efforts of helping the victims affected by Hurricane Maria in the Caribbean. The organization highlighted in the flyer is Direct Leaf which is a 100 % transparent humanitarian non-profit organization that specializes in providing a wide assortment of supplies to disasters affected areas. If you are wondering, why I decided to support this great cause is because giving is beautiful and equally important was a moment of wonder I had in my home country of the Dominican Republic during my youth. Read more about it here. That moment of wonder in which people helped each other was the catalyst that inspired me to create this flyer to help others and give people the opportunity to do so as well. All in all, the goal here is to spread awareness and encourage others to give the gift of kindness. Whether you decide to contribute to your community by spreading this flyer or directly with the organization mentioned above, you’ll be doing a world of good for someone in need. 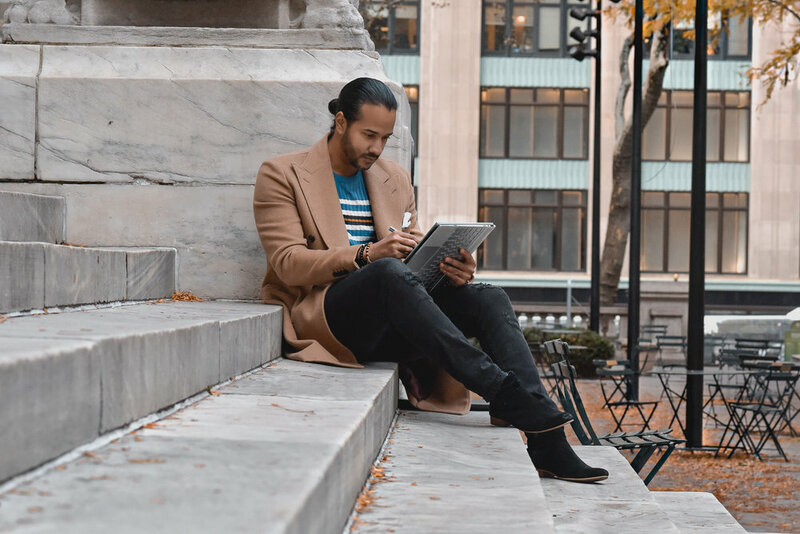 Remember that sometimes is more gratifying to give than to receive, join us to help change people’s life this holiday season and special thanks to HP for providing the tools like the Spectre x360 plus active pen which helped in creating this project and for creating and launching this beautiful #ReinventGiving campaign.